Tru2Life Heat Friendly Synthetic Hair Fiber - Pre-styled, ready-to-wear and can be styled with heat tools, it looks and feels like natural hair. Memory Cap® II - Feels custom-fit and looks custom-made as it's designed to memorize the shape of your head for the ultimate in comfort. 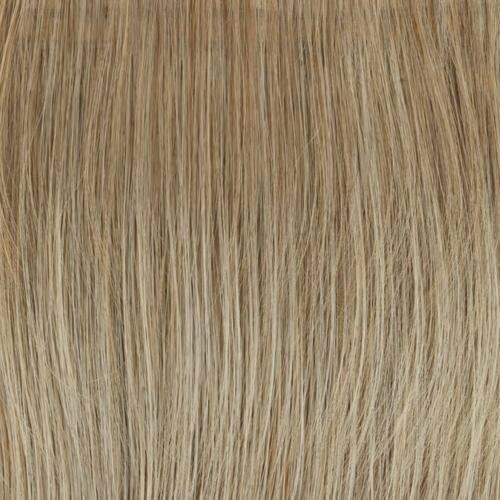 Sheer IndulgenceTM Monofilament Part - Creates the appearance of natural hair growth where the hair is parted. Sheer IndulgenceTM Lace Front - Ready-to-wear and virtually invisible, creating a natural looking hairline that gives you amazing off-the-face styling versatility and contours to the shape of your head. Hair Length - Front: 6.5" | Crown: 10" | Sides: 7" | Back: 6.5" | Nape: 4.25"